Cremation has become a popular option for many people because it can be more flexible as to where and when you hold a service. You can have a traditional funeral service before a cremation or a memorial service at any time with or without the urn present. You can keep the urn, scatter the ashes or have the urn buried in a grave or Columbia where we can hold a service. Whether you choose burial or cremation, we’re here to offer you a meaningful ceremony. The purpose of this documentis to communicate information about the cremation process and set realisticexpectations for those families choosingcremation for their loved one. It will be very helpful in giving some of theprocedures and time frames for events that MUSThappen in order for a cremation to take place. We have found that the fewerunknowns that a family has, the higher the ultimate satisfaction they will havewith the services we provide. To that end, please review the followinginformation so that you will be knowledgeable about our procedures, practicesand time frames. 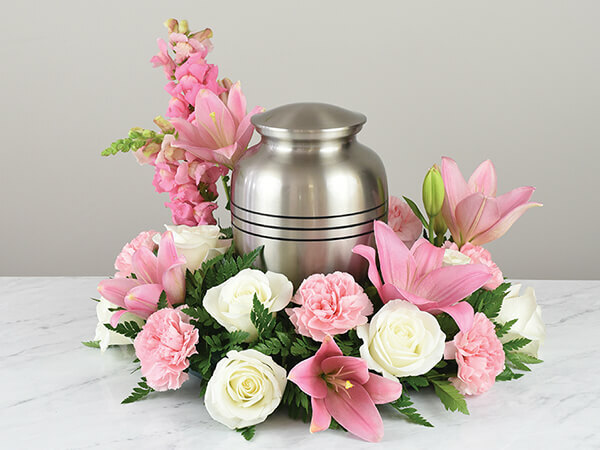 The law inCalifornia states that the Death Certificate and Disposition Permit MUSTbe prepared, accepted, and filed with the County HealthDepartment BEFORE cremation is allowed to take place. Because every caseis unique, this process can takeanywhere from 2 to 7 business days. We cannot tell you at the time of the arrangement conference how long this willtake. These are only estimates. The actualcremation is not scheduled until the above process has been completed and theHealth Department has issued the Disposition Permit.Ordinarily, depending on the cremation schedule at the time the Permit isissued, the cremation may take anywherefrom 1 to 7 days from the Permit is issued. It could be longer in some cases. This means thatfrom the day we meet with you to make the arrangements, it could take 8 to 14days for you to receive the cremated remainsback. Under normal circumstances, the cremated remains areready for you to pickup, or prepared for mailingwithin 8 to 12 days from the date of the arrangement meeting. These are only estimates. Wehave an expedited service available for an additional fee, that must bearranged and paid for at the time of thearrangement conference. This could reduce the cremation time by several days.Please note that all requests are notpossible. If you are tohave certain documents completed outside of our office after the arrangementconference, the time to complete the cremation would notstart until ALL necessary documentation, completely and correctlyexecuted, has been received by our office.Some documents are required to be notarized if signed outside our presence. Because of thecomplexity and ever changing status of the numerous cases that we handle, thecremation takes place at the discretion of theCrematory Manager. We do not inform you, in advance, when a cremation is totake place. However, we will call youto inform you once the cremation is completed and the cremated remains are to be picked up at our office, orsent by Priority Express mail. Unless you have,as part of your contract, paid the additional fees for witnessing of acremation at Ocean View Crematory, there is no witnessing of the cremation. Only the Primaryor Secondary Authorized Person you indicate on our release form may pickup thecremated remains from our office. If the Right Holder want's the crematedremains mailed, then our shipping charge must be paid and release form signedprior to mailing. The cremated remains must be picked up from our office within10 days of notification, or a daily storage charge will be incurred. We understanddeath certificates are very important and that your family needs them as soonas possible. With that in mind, please know that the process to prepare theseimportant documents can take up to, but is not limited to, 15 working days, longer if death occurred outside HumboldtCounty. The process to prepare adeath certificate follows a multi-step set pattern that includes cooperationfrom the Physician, Coroner, Health Department and the Family to work in atimely manner. We will strive to have them available when you pickup thecremated remains from our office. If we mail the cremated remains, we willinclude them in the shipment. We will not beresponsible for incorrect information, errors or omissions on the DeathCertificate. Please ask to proofread worksheet for accuracy, prior tosubmission for registration. Death Certificates are made and sold only by theCounty Health Department, in which the death occurred. We obtain the initialorder for you as part of our service, so be sure you order enough. If later youdetermine you need more, then you must purchase them form the Humboldt County Clerk/Recorder Vital Records, 825 5th Street, 5th Floor,Eureka, CA 95501. Phone (707) 445-7382 / (888) 486-2732. We hope this has been helpful. Thank you for putting your trust and yourloved one in our care.